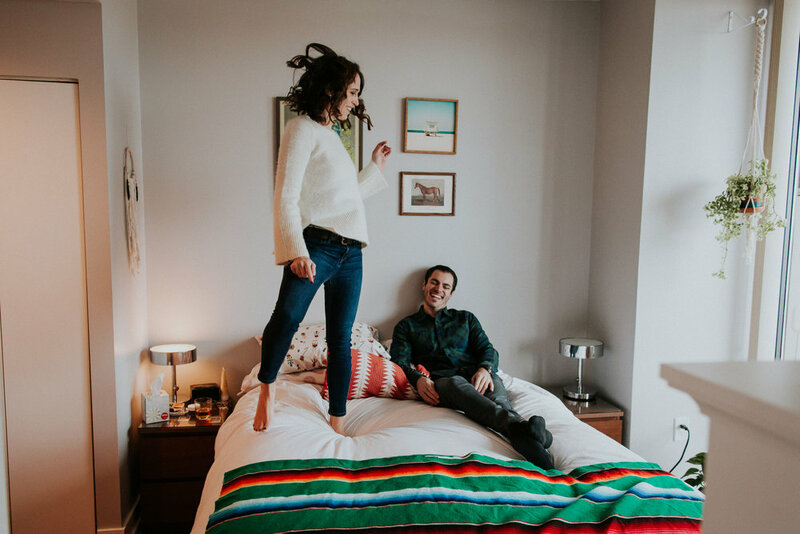 It's the greatest honor to capture my couples in their home! 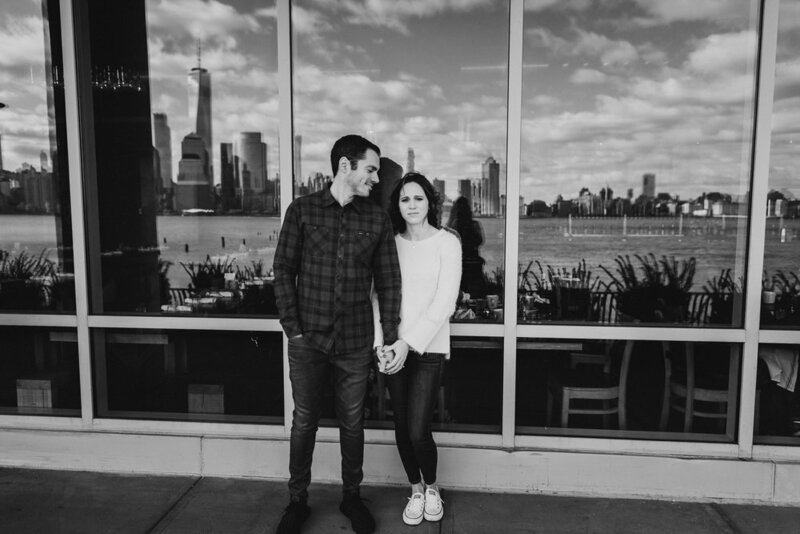 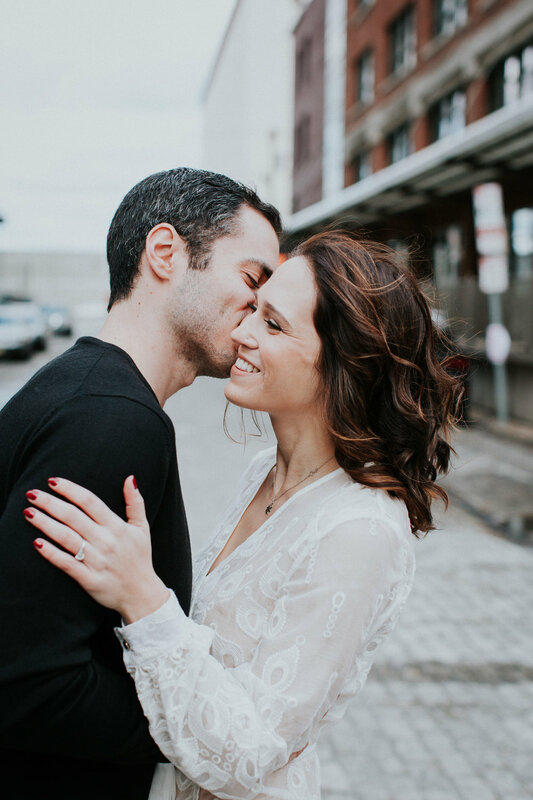 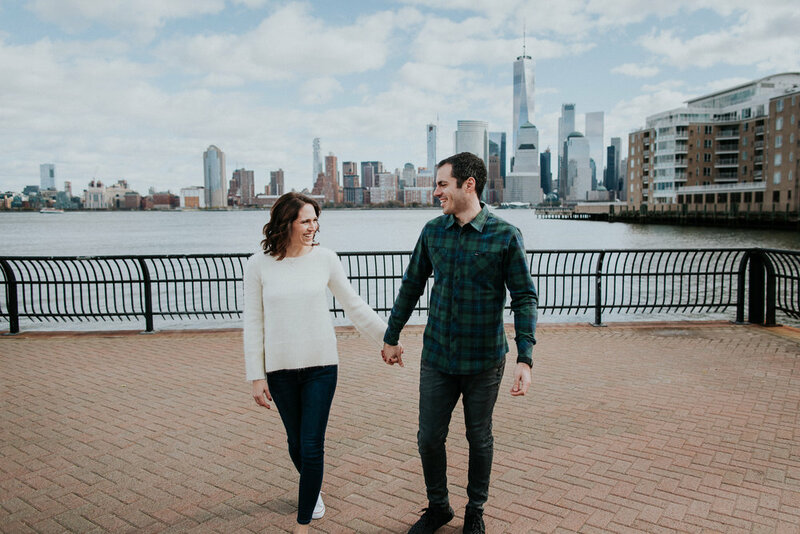 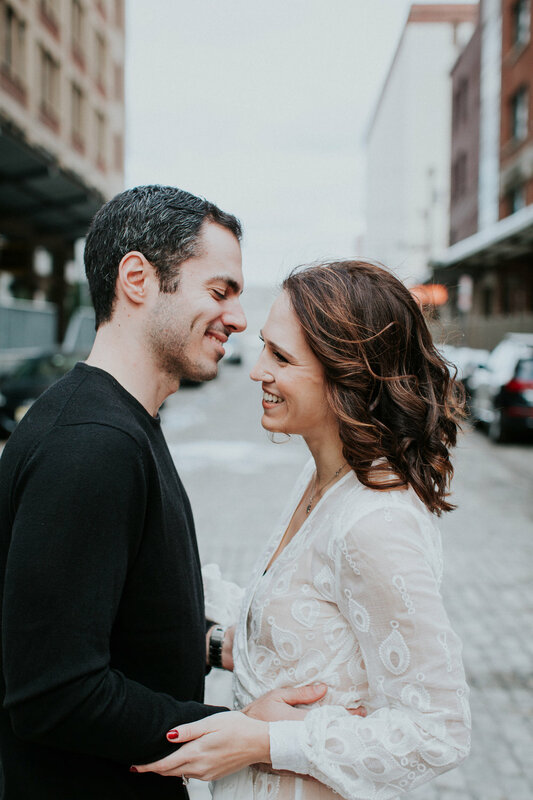 What you get is intimate and super personal photos that not only capture the energy but also the space that is so meaningful:) JJ and Fred invited me to their Jersey City home and we ended up exploring their neighborhood a little bit. 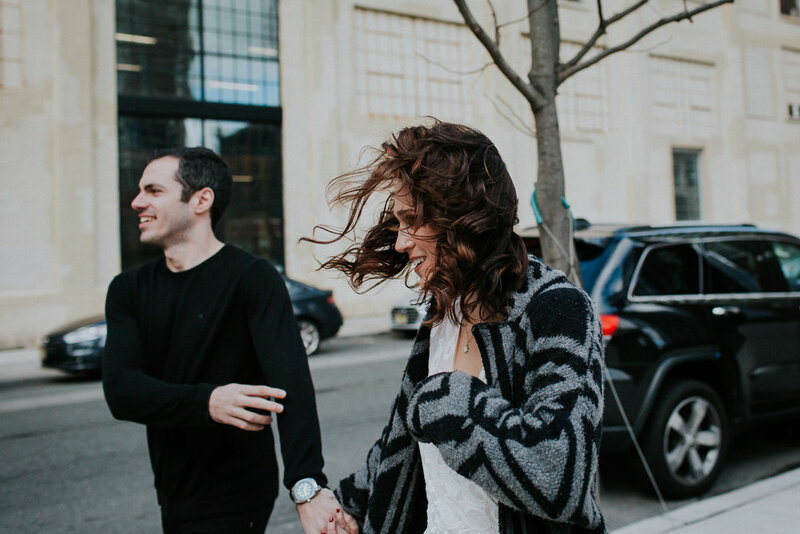 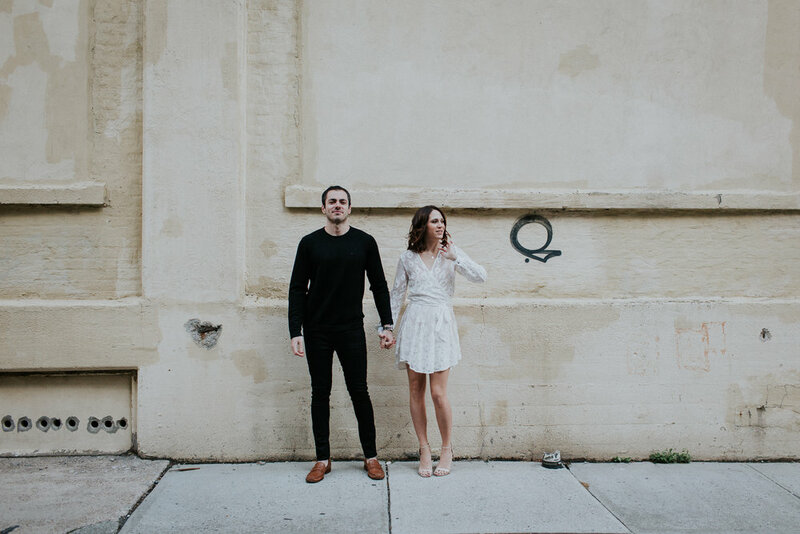 Scroll down for some windswept engagement photos on the streets of Jersey City!